Brenda Ntombela is the Head of Secretariat: Human Resource Development Council. She is responsible for overall leadership and management of the Functions of the Secretariat. Brenda is a graduate of the University of the North (now Limpopo), where she received her bachelor’s degree in B Cur (I et A) in 1983. She thereafter received her Masters Degree in Nursing from the University of South Africa. She has also completed various management courses. Brenda has worked in various industries which include but are not limited to Higher Education where she was a Lecturer, ICT where served as a Councillor for the Independent Communications Authority of South Africa (ICASA) and consulted in ICT policy making and regulations in Africa as well as in skills development. She is currently the National Chairperson of Families South Africa (FAMSA) and a Deputy Chairperson of the Public Sector Trainers’ Forum of the National School of Government. 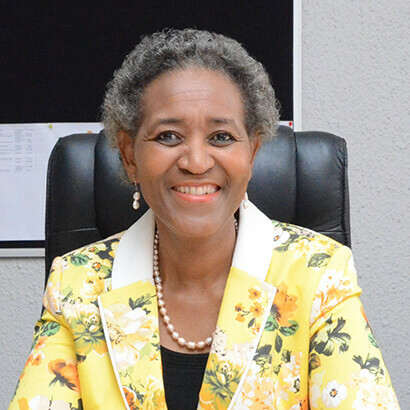 Brenda is an influential leader, with wealth of experience in strategic planning, policy and regulation formulation, research, mediation; complexity and conflict management to name but a few.